The Visual Style Builder is a tool that can be used to create the base of custom skins for the Classic rendering of Telerik controls. It provides an interactive UI that helps in customizing the appearance of the skin. 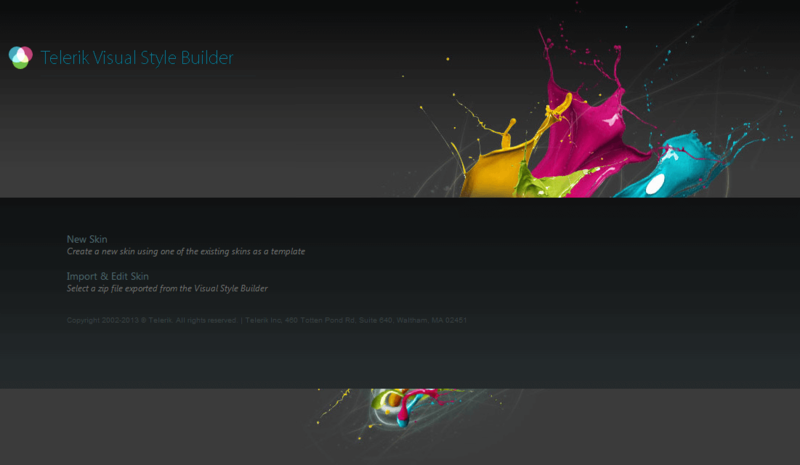 It can be found at http://stylebuilder.telerik.com/. For everyone who wants to create an customize skins for the modern Lightweight rendering of the components, we recommend using the Telerik Theme Builder.